Since 1990, the world has seen a 45 per cent decline in maternal mortality – an enormous achievement. But in spite of these gains, almost 800 women still die every day from causes related to pregnancy or childbirth. This is about one woman every two minutes. And for every woman who dies, 20 or 30 encounter complications with serious or long-lasting consequences. Most of these deaths and injuries are entirely preventable. 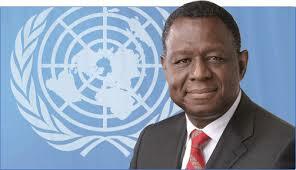 Making motherhood safer is a human rights imperative, and it is at the core of UNFPA’s mandate. UNFPA works around the world with governments, health experts and civil society to train health workers, improve the availability of essential medicines and reproductive health services, strengthen health systems, and promote international maternal health standards. 3 May 2018 5th Urological Meeting in Dakar considers obstetric fistula and cancers as public health issues.